Cinderella’s cruel stepmother, Grimelda, is trying to get her hands on the deeds to castle Liberty. And feeds old Baron-Von Trapdoor her special ‘herbal tea’ in order to achieve her wicked aims. 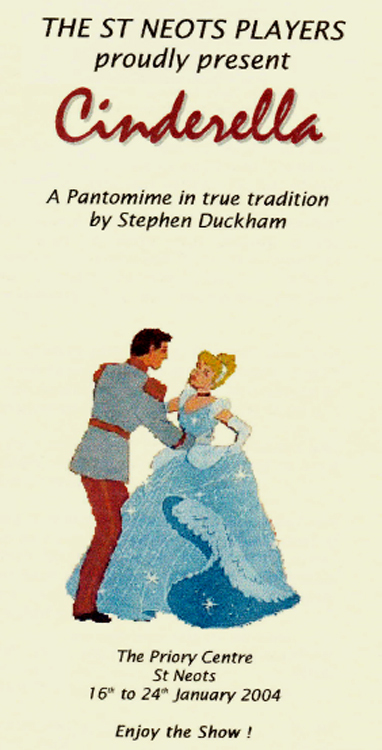 This panto follows the traditional line, which sees Cinderella worked hard by her stepfamily. Then not being allowed to go the ball, before eventually being helped by her fairygodmother. Featuring, traditional character, such as Buttons the butler, who dreams of being a great inventor. And ugly sisters, Bella and Donna. Dandini and Prince Charming. Additional characters include Max. Cinderella’s brilliantly clever dog. And Dim and Wit, two gullible jobseekers. There are two hilarious sketches involving the ugly sisters and Buttons. One is where the ugly sister’s think they are watching changing rooms on TV, and the other is when they try out Button’s new beauty measuring machine, with hilarious consequences.